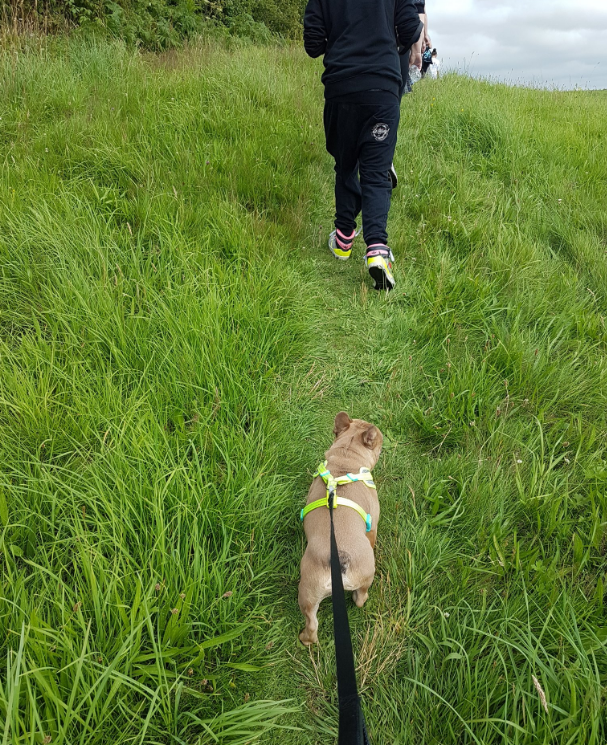 Last month, Fulfilling Lives Newcastle Gateshead joined over 100 walkers for the seventh annual Gateshead Recovery Walk. 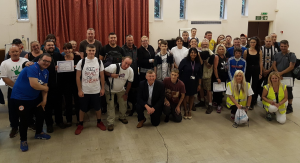 The 16-mile trek from Chopwell Woods to St. Joseph’s Church in Gateshead was the best attended Gateshead Recovery Walk yet, and we were thrilled to be one of the organisers of the day. We are proud to have the longest Recovery Walk in the UK, at a whopping 16.8 miles in total. 112 people joined us at Gateshead Civic Centre on the morning of Friday 21st July for this year’s walk, which was our best attended event ever! Ian Mearns, MP for Gateshead, joined us at the celebration event at the end of this year’s Gateshead Recovery Walk, to congratulate our 112 walkers. We were thrilled to welcome so many people, and smash last year’s attendance by an extra 28 people. That’s not mentioning all the four-legged friends that joined us on the day and dragged us up all the steep inclines! We were joined by people who had taken part in every Gateshead Recovery Walk there’s been, people who were coming along for the first time, people from Gateshead and the surrounding areas, and people from further afield. Alice Wiseman, Director of Public Health at Gateshead council, also joined us for the 16-mile route, after pledging to do so at last year’s celebration event. It was great to see people come together to support the recovery community; people in recovery, working in recovery services, or supporting family and friends, anyone and everyone was welcome to join us! This year, we welcomed Ian Mearns, MP for Gateshead, to our celebration event at the end of the walk, who congratulated our walkers and pledged to take part in next year’s event. We’ll be holding him to that! The celebration event was a great way to wind down after over 6 hours of walking, and we all really appreciated Ian coming along after his surgery to meet with us. All of our walkers were treated to a buffet (and some yummy cake!) before being presented with certificates to mark their achievement in completing the walk.